The Chicco Liteway Plus is what Chicco calls a lightweight product. It has the folding features and handles of an umbrella stroller, with a small storage bin. While we like the all around suspension and the easy to use cup holder, the maneuverability of this stroller makes it one that feels like a compromise with no valuable trade-off. The Liteway is overly cumbersome for a product of its kind, and we don't think it lives up to its classification given that several standard strollers were significantly lighter. In the end, the Liteway Plus failed to stand out, and it didn't impress in our tests for a car seat and stroller combination option. The Chicco (kee-ko) company is the biggest baby-centric brand in Europe. As part of the Artsana Group, a lifestyle company, Chicco offers a variety of gear that includes products for feeding, strolling, car travel, medical supplies and more. Enrico Catelli began Chicco and have products are currently sold in over 120 countries. Chicco creates baby products for little ones starting before birth and into the preschool age. The Liteway is a rare umbrella stroller that will work with an infant car seat attached. The chart below shows a comparison of the overall scores for the products we tested in this review including the Chicco Liteway Plus (in blue). The details in the subsections below include information on how the Liteway compared to the competition during testing. The Liteway earned a 7 of 10 for ease of car seat attachment and is better than the average of 5.5 for the group, but not good enough to compete with the 10 earned by the Doona that is a car seat and stroller in one. The Liteway, which is only compatible with the Chicco Keyfit infant car seats, was tested with the Chicco Keyfit 30. 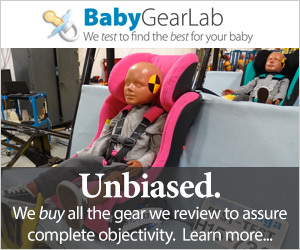 This an award-winning seat from our best infant car seat review. The Liteway, as well as other Chicco strollers, are designed specifically to accommodate their native seats. The Liteway seat back folds forward to expose the car seat attachment hooks. Installing the car seat requires folding the toddler seat all the way forward; this is unlike any other stroller in this review. This attachment process renders the stroller canopy unusable which is a shame because it is still attached and contributing to the weight of the stroller, but it doesn't serve a purpose that makes the added weight acceptable. Getting the seat to attach to the stroller isn't difficult, but it is more effort than the Bugaboo Bee3 Combo where the Keyfit 30 almost installs itself. You will need to apply pressure to hear the audible click, but we didn't have any trouble installing it wrong or thinking it was connected when it wasn't. Releasing the seat is just as simple as the connection. We did feel, however, that this stroller car seat combination is the least stable of all the Chicco options in our tests for this review. The Liteway weighs over 19 pounds which is heavy for both umbrella and most standard strollers. The Liteway weighs 19.6 lbs, which means it should be embarrassed to call itself a lightweight option. With several full-size strollers coming in lighter, we aren't entirely sure what Chicco is thinking. The full-size UPPAbaby Cruz Combo scored a third place rank and weighed only 15.3 lbs, making it the lightest standard option in this review. Only five products weigh more than the Liteway. When folded the Liteway measure at over 9,000 cubic inches, which is smaller than some of the competition, but once again larger than some higher scoring products. The UPPAbaby Cruz Combo, a full-size stroller, is smaller with a folded size of 7,860. The plastic wheels of the Liteway limits the maneuverability. The Liteway earned a 5 of 10 for maneuverability. The average is closer to 6, with a high of 9 for the BOB Revolution Flex Combo (a jogging style product) and the Baby Jogger City Mini GT Combo. The front wheels of the Liteway can be locked int he forward position to make moving over rougher terrain easier. The Liteway is easier to maneuver than the other Chicco products in this review. It feels more stable and responsive than the frame options and only struggled marginally less in the grass and gravel. The smaller plastic wheels and dual front wheel design have the Liteway getting caught on objects and veering off, and dropping down from curbs was trying both because the brake pedals drag on the step and the handlebar height had us bending awkwardly. The wheels on this stroller are relatively small and made of foam filled plastic with wheels that spin freely and don't wobble. The plastic is dense and feels nicer than some, but they are still plastic, and rubber would have performed and looked better. The Litewayhas all around suspension, but the hard plastic wheels mean there is no way to disguise rougher terrain. The handles on this stroller are two-sided and curve up from either side of the frame and are common on the umbrella products. The handles are covered in dense foam and angle inward toward each other for a more ergonomic feel. They are only about average for comfort, and the two-part design means it will be harder to push with one hand. You lose access to some of the storage bin when you attach the car seat to the Liteway. The Liteway earned a 3 of 10 for ease of use tying with the Graco SnugRider Elite. The high for the group is 7 earned by the Chicco Bravo. This stroller folds much like a traditional umbrella product by collapsing in on itself. You can fold this stroller with one hand, but you will need two to unfold it. It does have an auto-lock and carry strap, but it doesn't self-stand. It rolls like luggage after it locks but you'll still need to lift it to put it in a car. The brakes on the Liteway are double action which requires parents to press both pedals to fully engage the brakes. The brakes on the Liteway are double action and require the use of 2 separate pedals to engage. If parents forget or intentionally forgo a pedal, then the Liteway is not properly parked and baby could potentially be injured. We prefer single action brakes for this reason. The brakes are easy to set and release, and they are friendly to sandal feet. The back cross bars on the Liteway help it fold like a traditional umbrella product, but they also limit access to the storage bin. The storage bin is a tough one to use thanks to the elaborate cross bar set up on the back of the stroller. Access is only possible from the rear and sides. The bin is small, and we barely crammed our medium diaper bag inside. The 5 lb weight limit might be more of a limiting factor than the size, with most adequately stocked diaper bags weighing more. The side frame cup holder is flimsy, and while safer for a baby than the one located above baby's head, it isn't the best and it sort of gets in the way when moving a folded Liteway. The canopy on the Liteway works in conjunction with the infant car seat canopy to help create a protective shell for baby. The unique front folding process for car seat attachment this stroller does not include the canopy that stays attached to the frame. The canopy is small and not the best, but it does work well in conjunction with the Chicco infant car seat canopy. It also has a medium size vinyl peek-a-boo window. The Liteway earned a 6 of 10 for ease of setup which is average for the group, as it took us almost 9 minutes from start to finish before we were ready to roll. The directions aren't as clear as some of the other Chicco strollers but it was still easier than some of the competition that took over 10 minutes to complete. The Liteway did not perform well in our tests for quality earning a below average score. The Liteway earned a 5 of 10 for quality, just 2 points over the low of 3 for the Chicco Keyfit Caddy, and 3 points lower than the high of 8 earned by the BOB Revolution Flex Combo. The frame on the Liteway feels sturdy and has a nice finish, but the exposed fasteners and components give it a cluttered look and detract from the overall fit and finish of the product. The fabric is a slick feeling canvas that seems like it will clean easily and wear well over time. The Peek-a-boo window in the canopy is a tinted vinyl, and while neither the canopy nor the window is that impressive, they feel like they will stand the test of time. Overall this is a very basic stroller that would have looked nicer if there were less or at least hidden junction points and exposed components. Chicco makes several different stroller options, and we tested three of them in this review. The Chicco Keyfit Caddy — this basic frame stroller earned the second highest score in this review and was by far the best Chicco for a car seat combination product. The Caddy won Top Pick for Frame Stroller and earned a 9 for ease of car seat attachment. The Chicco Bravo LE — this full-size stroller struggled in many metrics that make it a disappointing option, but for a combo stroller, it scored about average for ease of car seat attachment.